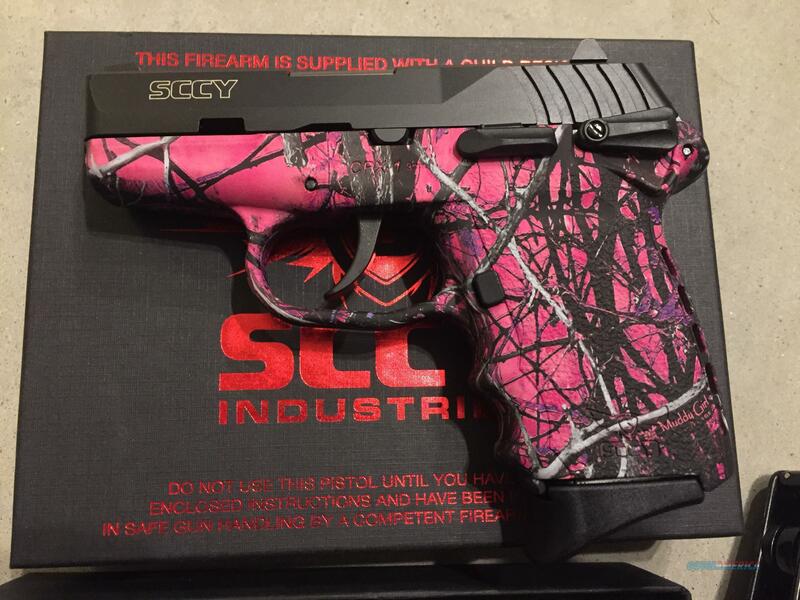 Description: This new made in USA SCCY CPX1 CBMG 9mm Black coated stainless slide with Muddy Girl pink frame. It comes with stainless barrel, two 10+1 round magazines, white dot sights, and ambidextrous safety. Insured shipping is $25.00 to the continental U.S. and no card fees added at Deals on Guns. SCCY guns are not CA compliant.